Posted on July 22, 2015 by Filipe M.
Shooting to a specific format other than your camera’s native aspect ratio isn’t always an easy task. 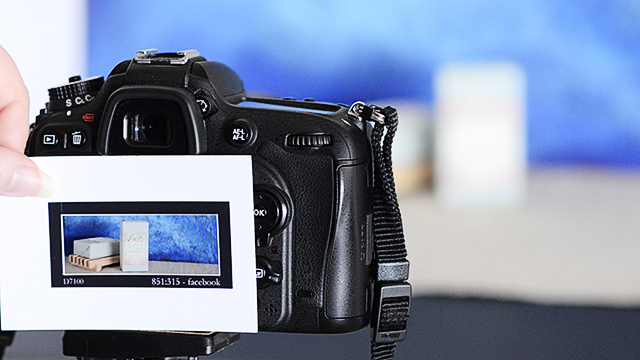 Here’s how to fix that with a piece of card, a printer, a cutting tool, and a few minutes. Often when shooting for clients you’ll be required to “shoot to a specific format”: it might be an 8.5×11″ for a full page in a magazine, a 11×14″ wall portrait, a facebook banner at 851×315 px, or just a 16:9 wide image, with no final dimensions provided, to insert stills into video. 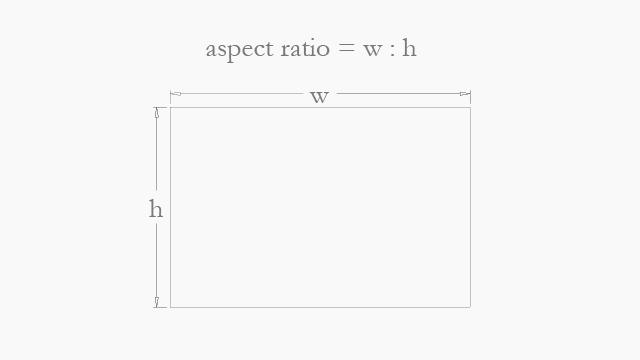 These seemingly random numbers define either the output size of the image (in y x z units), or an aspect ratio – the ratio between your image width w and height h, expressed in w:h.
In reality, the output size can also be considered an aspect ratio: just strip away the units. 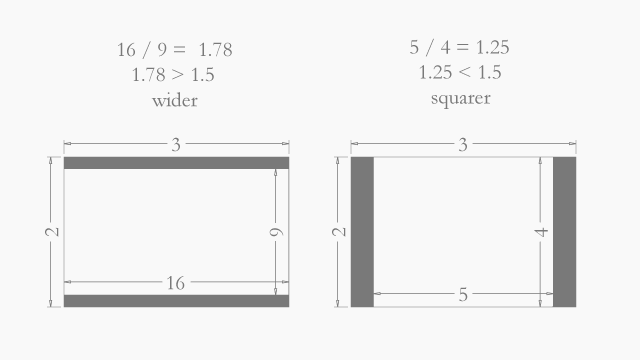 In some cases, you might have to divide both numbers by a common factor to get to the lowest possible integers, e.g., an 8×10″ uses the 4:5 aspect ratio (both values divided by 2). And obviously, the difference between a 4:5 and a 5:4 is the camera orientation! Since these are all completely different to the traditional 3:2 aspect ratio of most DSLRs or 4:3 of m4/3’s cameras, knowing how much to crop, or how to create your composition to fit the final crop can be quite challenging. Shooting tethered is probably the best away around this problem, but it isn’t always practical to do so. Some cameras attempt to make this task easier by providing a few built-in crop modes, such as 4:3 or 5:4, complete with viewfinder masks to help with composition. Some others, such as the Leica D-Lux Typ 109 / Panasonic LX100, use different sensor areas to provide a few native aspect ratios, giving you as many pixels as possible in the final file while still keeping the overall camera size “pocketable”. But what happens if you’re stuck with a camera that doesn’t have these features, or you need something different than the built-in formats and aspect ratios? 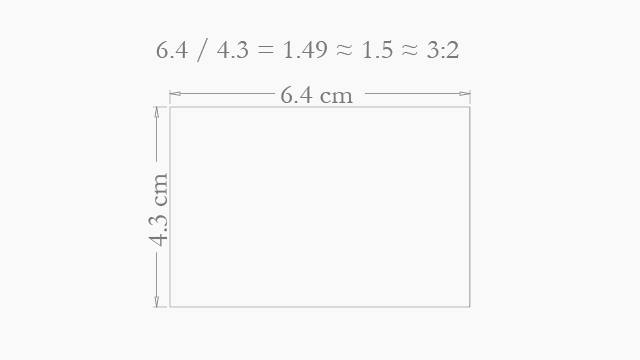 Step 3 – Draw or print a rectangle with those dimensions on a piece of thick stock and cut it out. To make sure you’re using as much screen real estate as possible, and consequently the biggest output file size with no unnecesssary cropping, it is advisable to use matte frames that are matched to your LCD’s image size. Measuring it is really easy: take a photo of something bright (don’t worry about focus or correct exposure – just make it really bright), then scroll through the view modes to find the one that gives you the biggest possible image – that’s the mode you will want to use your matte frame with; grab your ruler and measure both width and height of the image (be careful not to scratch the LCD!). Use the edges of the frame as guide to avoid measuring in diagonals and be as precise as you can, but there’s no need to overdo it. Write down these numbers, as you’ll need them in step 2. 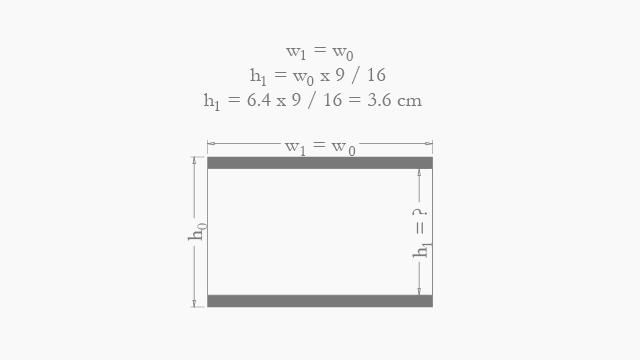 The maths involved are quite simple, and to make them even simpler we’ve created a Google spreadsheet for you: just plug in your image measurements from Step 1 and desired aspect ratio and it’ll calculate your matte frame dimensions automatically. We’ll start by finding out the aspect ratio of your camera. 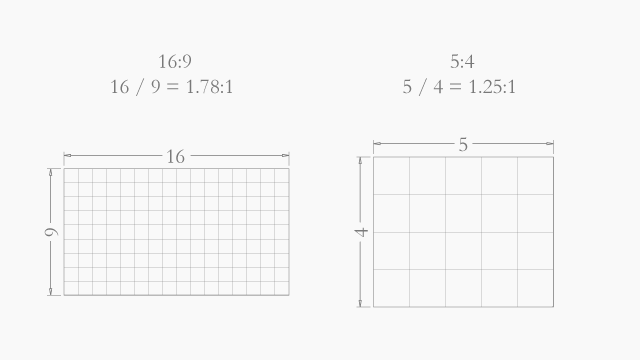 Take the numbers you’ve measured in Step 1 and divide the width by the height. If you’re shooting with a DSLR, it should be 1.5 or *very* close to it (3:2). If it’s a m4/3 camera, it should be 1.33 or again, really close to it (4:3). If not, make sure your measurement procedure was correct. 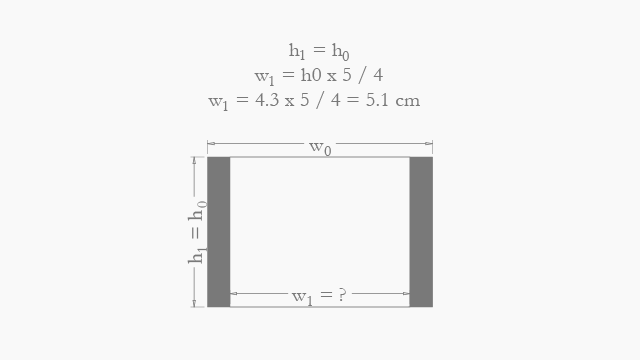 and obviously, if you want a square 1:1 ratio, the width of the cutout is going to be the same as your image’s measured height. Note: If you use the imperial system rather than metric, the principle still applies: since the aspect ratio doesn’t need units, the output units are going to be the same you used as the input. 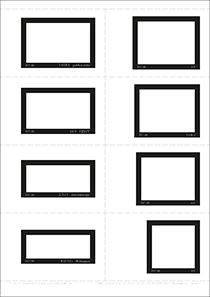 This step is fairly obvious: take the numbers you got in Step 2, draw or use your favourite design software to print a rectangle with these dimensions on a piece of card that’s at least 1/2″ larger in all directions, and cut the rectangle out – and there’s your brand new matte frame. Print on A4 or Letter sized thick stock, cut along the dotted lines, and you’re good to go! 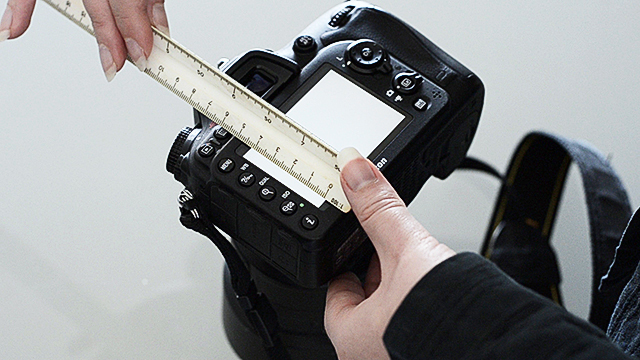 If your camera isn’t on the list, just leave us a comment with your camera make, model, and image dimensions (measured according to step 1 above) and we’ll create a template for you. 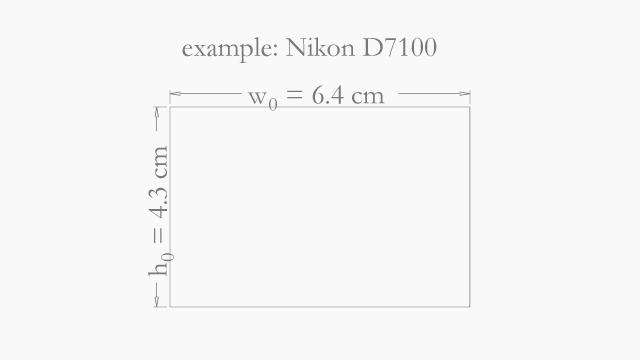 UPDATE: the original templates for the Nikon D7000 and D7100 had errors on the 4:3, 11:8.5 and 5:4 ratios. They were fixed on v.1.1 | 2015.07.23, so please download them again and use the new ones. Sorry for the inconvenience! Great idea! Do you have a template for a Canon 7D made? Thank you! Wow! So informative – thank you. I’ve been wondering about aspect ratios, always hoping my crop in post-production will work out. I plan to tackle “the math” myself, with your thorough guidance. I love your videos! could you make a set of templates for this camera please? And done, original Canon 5D added to the list! i have a panasonic GH4. Do you have a template for the 2.35: 1 – Cinemascope ?